At West Coast Marble & Granite, we are aware of the trend that open plan living holds. 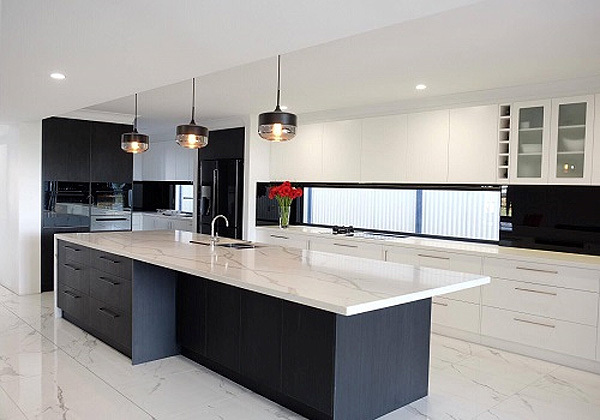 Being a leading stone benchtops supplier in Perth, we showcase visually attractive and durable benchtops fabricated with natural and reconstituted stones. Make up your mind on one of these to let your kitchen stay as the main hub of your cosy little apartment. This way, your kitchen will automatically turn up to be an inviting space, where your dear ones will love to congregate. We also manufacture, supply and install bathroom benchtops, made up of natural and engineered stone. Upgrade your washroom by installing them without demolishing the entire setting. Not only will they add value to your living space with its aesthetics but also prove to be an extremely durable alternative. Pick from our vast collection, comprising of granite, marble and reconstituted stones, appearing in varying surface shades and patterns, to exude utter elegance in your domestic or commercial space.